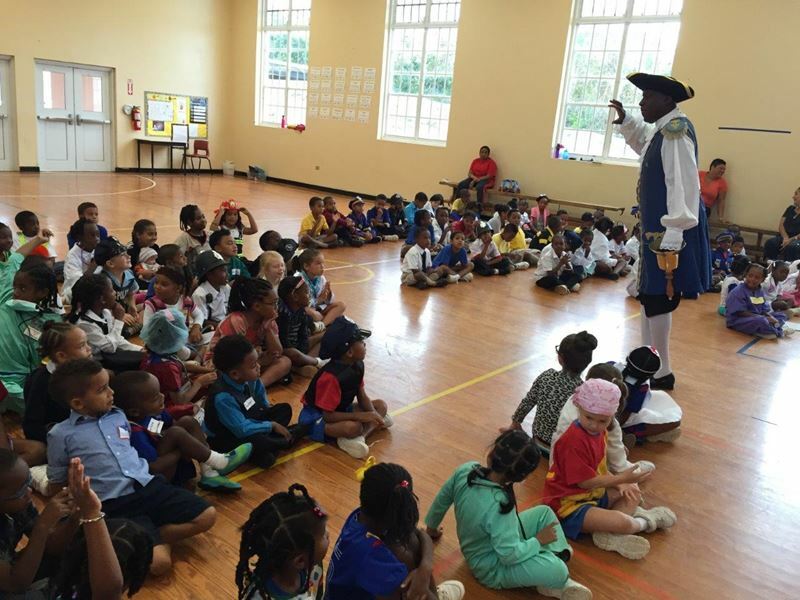 Purvis Primary recently held a “Career Day”, with students learning about a variety of careers, with the lower school receiving a visit from the young owner of Ashley’s Lemonade and Hamilton Town Crier Ed Christopher, while the upper school visited various facilities. Ashley spoke to the students about her entrepreneurship and disclosed how she used literacy and mathematics in her business. 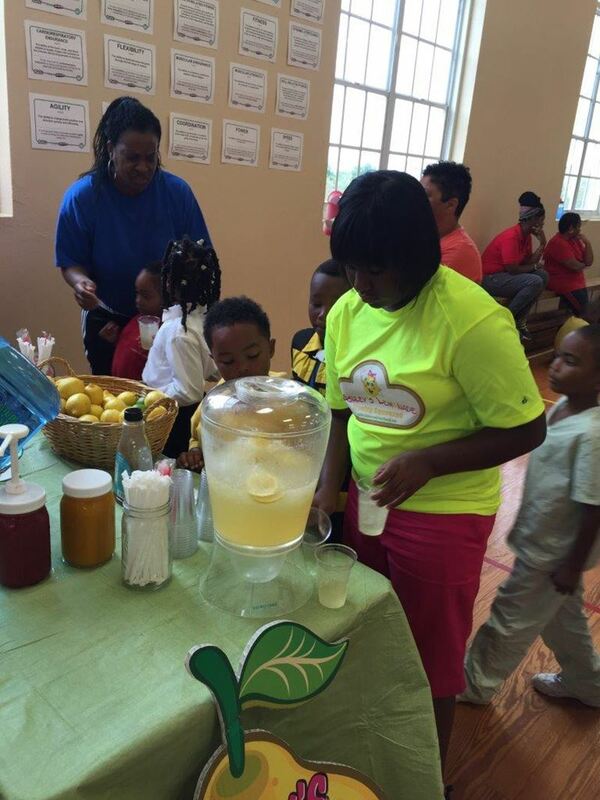 In addition, Ashley generously gave each student and teacher a complimentary large cup of her delicious lemonade along with a lemon to remind them that they are powerful and capable of reaching their dreams. In addition to an inspiring visit from Ashley’s Lemonade, the Hamilton Town Crier Ed Christopher paid the students a visit. Mr. Christopher enthusiastically spoke about his career being a Town Crier and explained how he uses mathematics, literacy and sound work ethics in his career. 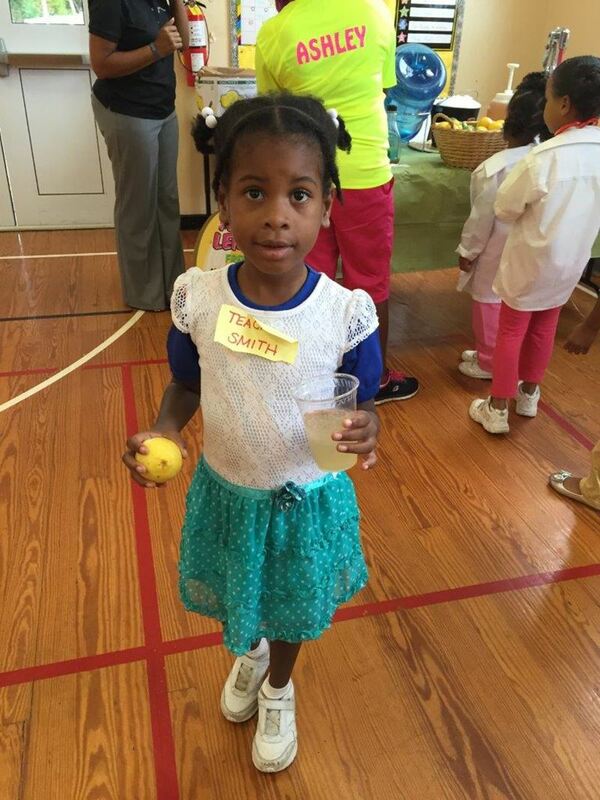 Following Ashley and Mr. Christopher’s presentations, the lower school students pranced around the school field showcasing their community worker costumes for all to see. During the lower school’s career exploration experience, the upper school had the opportunity to leave the school premises to visit and observe community workers in action. Each upper school class visited a facility. The students toured their designated facility and learned about various careers within it. The facilities that were visited were The Royal Gazette, Hamilton Police Station, Bermuda Veterinarian, Advanced Chiropractic & Wellness Centre, Conyer’s Dill & Pearman. The students were encouraged to write about how literacy, mathematics and work ethics were used in the careers that they learned about. Now this is positive and cool. Need more of this going on. thanks mainly to Mrs. Alexander. should take a leaf out of her many books. Nice, but what they need to be taught is, pay attention in class, encourage parents to be involved and assert themselves in higher learning because to compete as a second class citizen in your own country…. well they’ll find out. While I agree that all students should be encouraged to work hard and focus in school along with having the parents involved in their studies and their lives…I question your statement regarding “Second Class citizen” Are you implying that a child that attends government school will be classified as a second class citizen (second class to who?) – that’s highly offensive and down right rude! There are many Bermudians who have gone through the public school system and hold high accomplishments under their belt. I being one of them – and guess what, my son attends Purvis Primary. But I’m sure that’s not what you meant when you said second class citizen, right? No what I meant is as a Bermudian, especially Black Bermudians, are systematically overlooked. Purvis Primary is undoubtedly one of the best schools on the island. It’s not all doom and gloom in public education and they are a very bright spark. Goo.. Purvis Primary Onward Ever Onward… I am a proud past parent and enjoyed every minute of our experience at this noble institution. Micro-Society experience and exposure was the greatest idea..